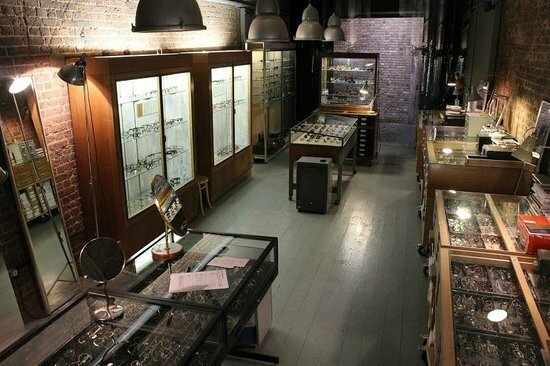 Note: General Eyewear now has a store in Soho as well as the Camden HQ - details here. 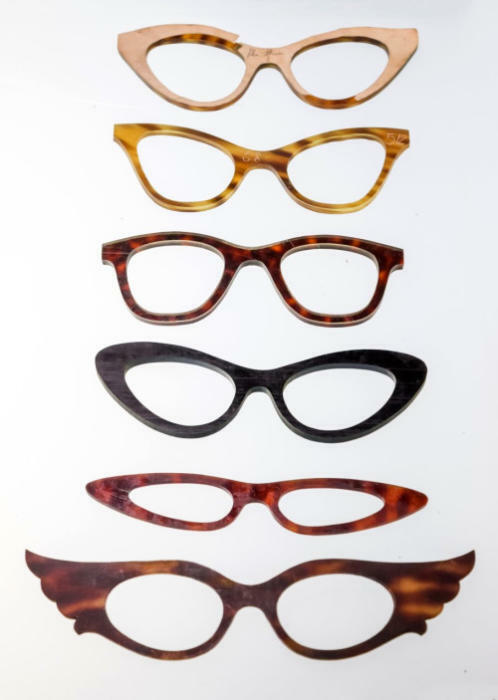 General Eyewear has historically been a source of vintage inspiration for glasses, supplying designer brands and costume designers. 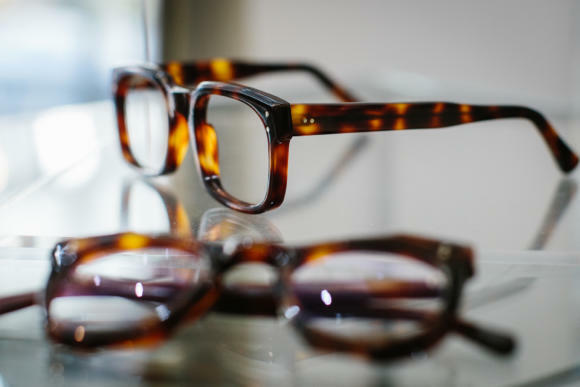 But as it has starting selling its own products, the Camden house has become a strong source for English-made glasses - both ready-to-wear (from £350) and bespoke (from £450). 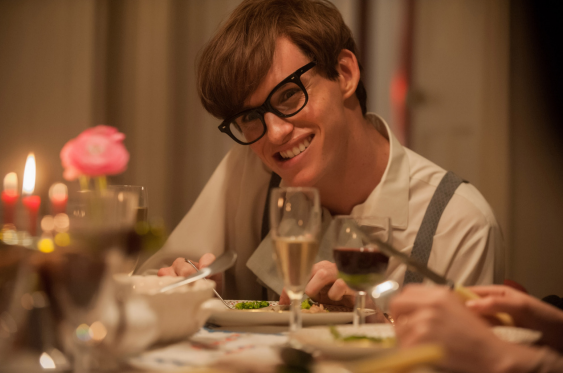 You would be forgiven for being put off by General Eyewear’s public face. The website is deliberately basic, and both site and social media prioritise unusual, whimsical designs - as is perhaps inevitable for a vintage house known for the scope of its collection. The location in Camden’s Stables Market is also rather off the beaten path. For as soon as one of the staff starts taking you through the collection, you realise there is the potential there to create anything - from the most conservative tortoiseshell panto to the most esoteric horn rims. And in my experience of commissioning bespoke glasses, that guidance is crucial. For I would argue there is a smaller margin for error with glasses than with any other item of menswear. Literally a millimetre too wide, or the lugs a millimetre too low, and the effect can be significantly changed. There is also the greatest danger of being too adventurous, or dandyish. For while there is room in the wardrobe for rarely worn tailoring - an ivory-silk dinner jacket, or a super-heavy winter overcoat - few of us swap our glasses around to achieve particular ‘looks’. They have to be versatile. So you need a knowledgeable guide, and it helps a lot if you can work from existing models. Just as with bespoke tailoring, this is the easiest way to control the risk. General Eyewear started out as a vintage clothing company in 1997, under the name of Arckiv. The owner, Fraser Laing, was passionate about both but quickly found there was more of a gap in the market for glasses (plus they were lighter to carry around). 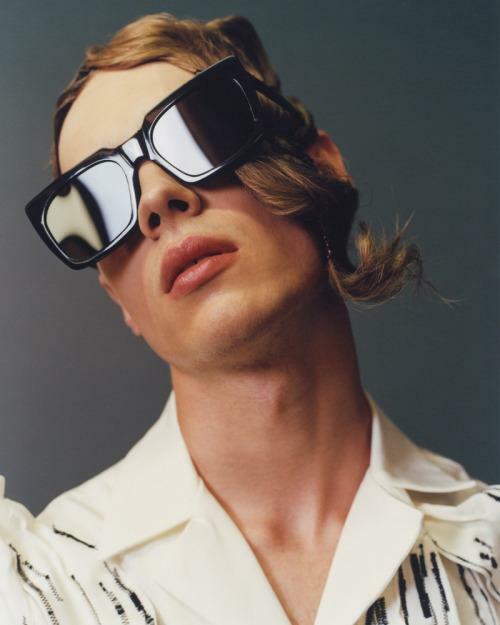 At the turn of the millennium, there was a lot of focus on designer ranges of frames - and the likes of John Galliano or Alexander McQueen would come by looking for inspiration. In 2008, the company moved into a bigger, more permanent space in Stables Market, and renamed itself General Eyewear (retaining ‘Arckiv’ for clothing). 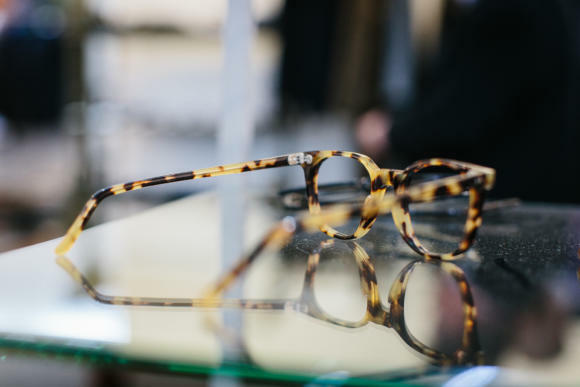 As demand for vintage glasses grew, Fraser and the team started making their own versions of old frames, as well as bespoke. Go into the shop today, and the new General Eyewear lines are almost indistinguishable from the old pieces stored away in drawers. Because there is so much focus on design, the team rarely work in buffalo horn or other unusual materials. Acetate just has so much greater potential to be shaped and re-shaped. 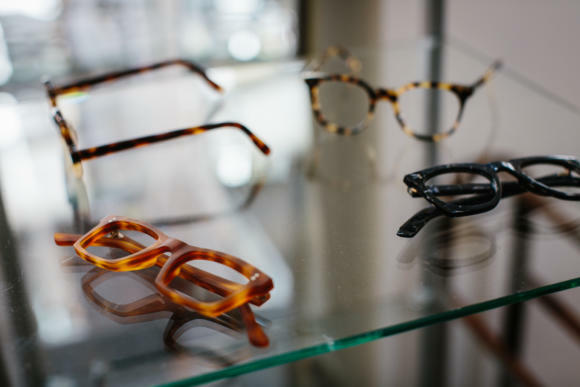 General Eyewear do, however, collect vintage acetates - and browsing through those can be as much fun as looking through vintage cloths. 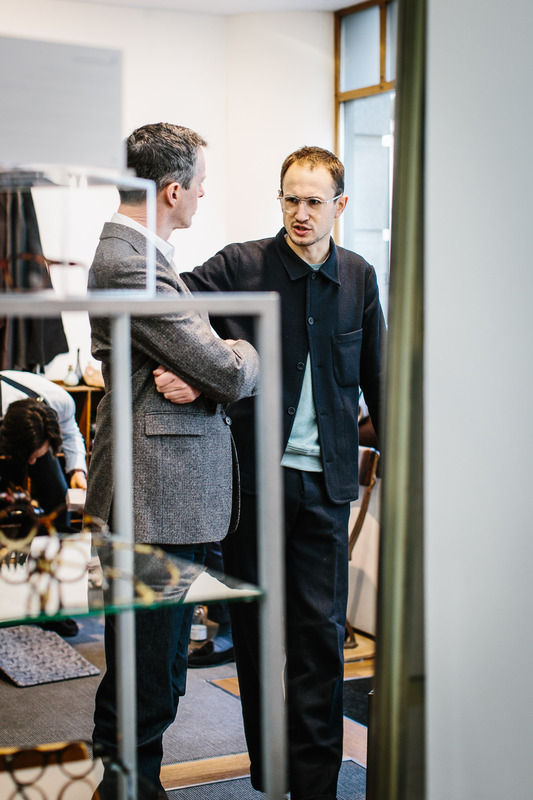 Indeed in our pop-up store, Elliot from General Eyewear found it interesting how many parallels there were between their use of vintage acetates and Fox’s vintage cloths. 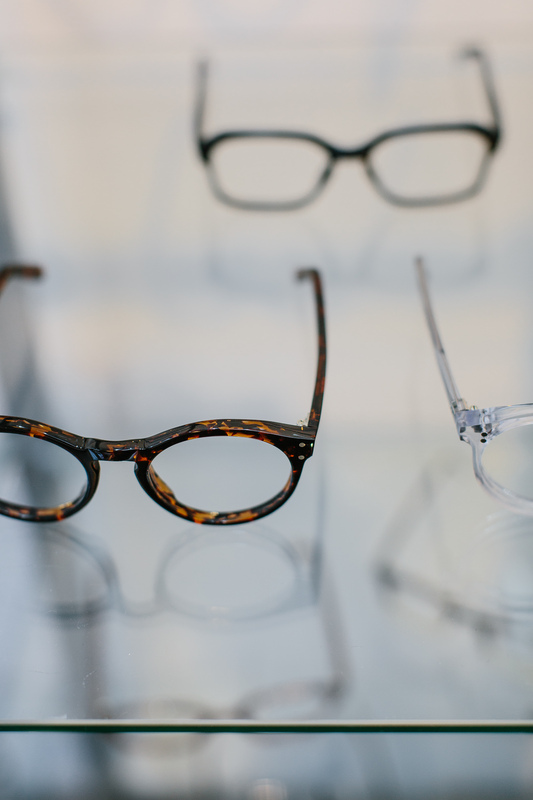 General Eyewear are in the pop-up shop until Saturday, March 11th, with both ready-made stock and bespoke availability. After that you can track them down in Camden. You can follow the discussion on General Eyewear: bespoke and ready-made glasses, Camden by entering your email address in the box below. You will then receive an email every time a new comment is added. These will also contain a link to a page where you can stop the alerts, and remove all of your related data from the site. 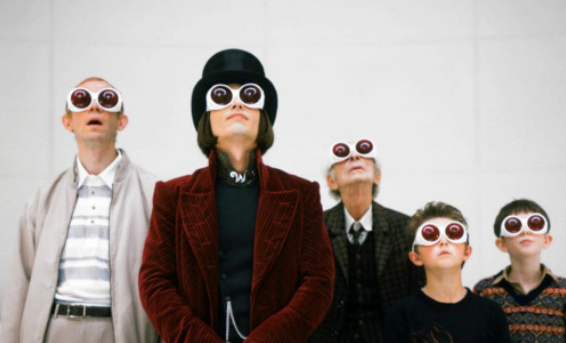 I have seen them online and initially thought the designs I saw were a bit crazy and fashion forward, also bespoke glasses tend to be vastly expensive with expensive lens options. I was very wrong and has actually turned out to be one of the best discoveries at the store. The quality is amazing and the cost is not that much above Tom ford, Oliver peoples etc. for vastly better quality. They are also very flexible with colour options for existing designs. Elliot also told me that if you go bespoke for £450 that design is held forever so I can have a pair remade in a different colour for the standard price of £350. It’s like paying for a bespoke last with your first pair of shoes, and subsequent pairs being cheaper. The other big selling point for me is the cost of lenses which most people do not account for. I have terrible eye sight and have extreme thinning to my lenses. This can be done for only £100 (1.74 or only £50 for 1.67) this actually make a pair from GE very good value for such good quality. 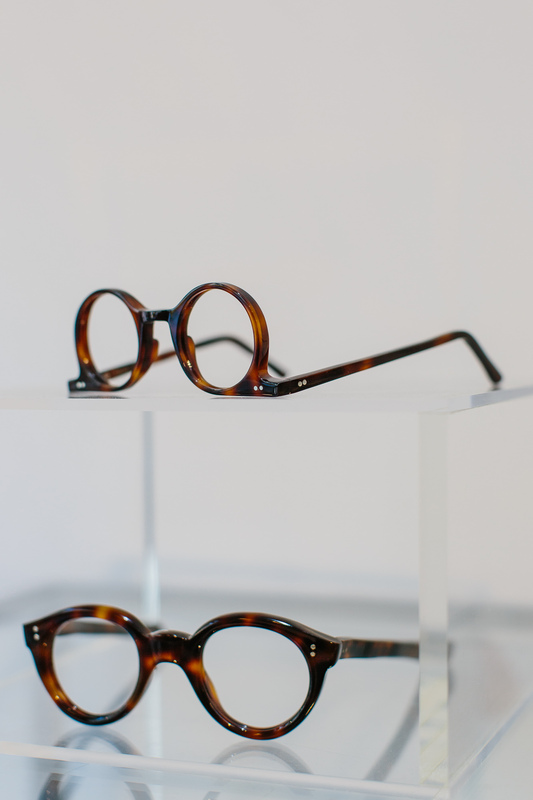 450 pounds for bespoke eyewear of quality is fantastic value. Thanks for sharing. in a comment (on a different subject) you said that one should avoid designer glasses (for example, from Luxottica) “at all costs” – Especially because of their big profit margins. Because it fits the topic, I wanted to ask you if you can recommend a small selection of brands which make good sunglasses? PS: Thank you for your time and energy making this blog possible. As a young reader I really enjoy learning more about classical menswear! On balance then Simon, given the problems with adjustment you mentioned, would you still recommend buffalo from Bourgeat? BTW, I have been impressed with The Eye Company in Wardour Street – who I believe have their own range in natural materials. Interesting article as ever Simon. Isn’t it sad that “young blood” isn’t moving into the bespoke area. I know governments have been pressing home the advantages of young people going on a apprenticeship and you would think bespoke would be an area where they could flourish. However with recent figures showing up to 50% never complete the training in all apprenticeships I guess smaller (which is a lot of bespoke) companies must be very wary of investing time and money in people who then drop out. Is this just a UK problem or do the French and Italians have the same sort of problems? Other countries have very similar problems, John, although often different approaches to dealing with it. Germany, as you might expect, is better than most. One of the issues in the UK is that apprenticeship schemes aren’t that targeted – they apply equally to unskilled jobs like flipping burgers, for example, rather than focusing on UK-specific, highly skilled practices. I’ve been designing and hand-making eyewear in London for just over ten years. How much bespoke work I take on has always depended on how busy I am with projects designing for other brands, but I think the slow take up by young people to get involved in handmaking eyewear has turned a corner. As with a lot of industries, not least brewing and errrr wooden spoon making (really… Didn’t see that one coming…) attention is being turned towards provenance of product. The internet has blown the lid off retail structures and provided a transparency that has always been lacking in the eyewear industry. This lack of transparency has always hidden massive margins enjoyed by the retailer. So now, discerning, customers want to know what they’re really getting for their 450 – 650 quid. They could get an acetate Tom Ford frame made in China for a total of $24 (at the higher end) cost price to Marcolin (licensed to produce Tom Ford eyewear) or they could spend their £450 and have their face measured, choose their acetate colours, sit for prototype fittings and eventually take reciept of a fully custom frame made to their specification by someone who’s not exploiting a cheap labour force and who’s charging a reasonable and sustainable price for their craft, expertise and service. Recently I’ve bought a small manufacturing facility with a view to setting up and provide apprenticeships in eyewear manufacturing here in London. If anyone here is interested in supporting or getting involved in such a venture please get in touch. I would say my biggest problem is still getting decent independent advice about what is the best pair that suits my face and can transition from the office to the street. Find me a shop that can provide that and I will be their customer for years! Are you still a fan of Cutler and Gross Simon? Have you tried either Algha Works/Savile Row or Lindgerg’s MTM eyewear? I usually wear metal glasses and was wondering about your take on them. With your General Eyewear glasses, was your face measured as part of the process? Does bespoke always involve this? Or is it a case of picking up an existing pair and making adjustments? Also, did you have an interim fitting? How did they measure your face? With callipers? I assume width of your face and distance between pupils?